The following is a requested message from Bill Prall, TOMTC's Safety and Maintenance Director: One very easy thing we bicyclists can do to promote bicycling is to STOP! On roadways or bike paths with traffic STOP signs or RED lights the Michigan Motor Vehicle Code (MVC) and the Michigan Compiled Law (MCL), states that you must obey these traffic signals. Where do Michigan laws apply to bicycles? April 2018 (Map here) Planners for the Charlevoix to Traverse City Trail (CHX – TC Trail) have an ambitious goal to connect two regional trail networks that link the communities of Traverse City, Acme, Elk Rapids, Eastport, Norwood and Charlevoix with over 300 miles of existing trails from Alpena to Suttons Bay. 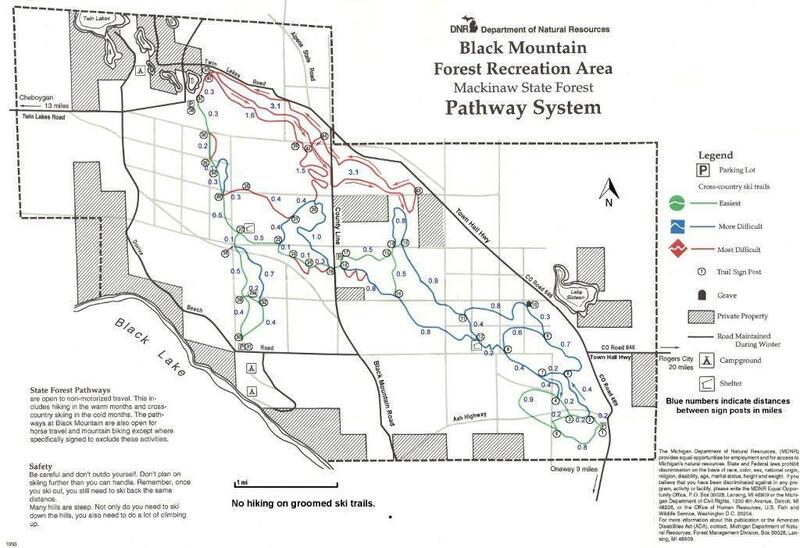 This requires combining what trail users want with suitable land and road right-of-ways that can support a non-motorized recreation and transportation trail. 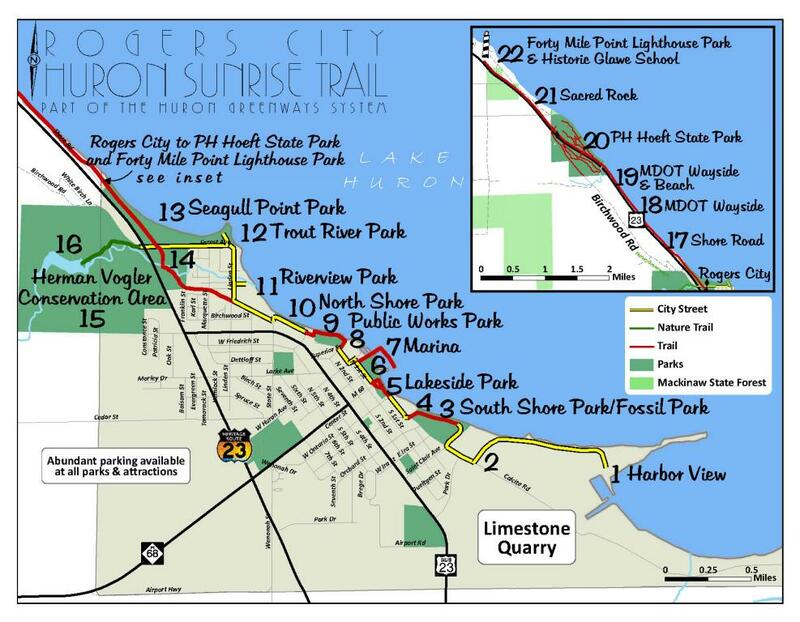 The trail will pass through beautiful scenery and provide access to 24 public amenities including parks, beaches, natural areas, communities, and other destinations along the US-31 corridor. The project builds on the vision of more than a decade of community groups working to make trail connections. 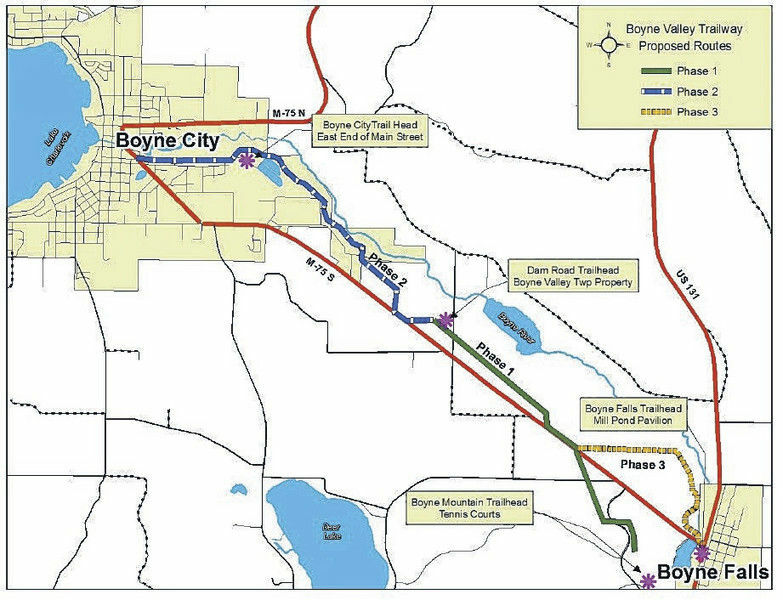 April 2018 (Map here) The Boyne Valley Trailway Committee has planned a trail through the Boyne River Valley that will connect Boyne City with Boyne Falls and the Boyne Mountain Resort. In addition, it will connect five schools with a non-motorized recreation trail that will accommodate pedestrians, runners, cross country skiers, snowshoers and cyclists at all times of the year. April 2018 (Map here: burt-lake-trail) The Burt Lake Trail Committee, with the experienced grant writing assistance of OHM Advisors (a Petoskey-based civil engineering firm), is taking a big step forward with the submission of grant requests this spring to the DNR Trust Fund and MDOT/ Transportation Alternatives Fund for grants to construct Phases III and IV of the trail in 2020. Working with OHM, analysis of two alternatives led to the lowest cost by combining the two phases. Good progress is being made on the Boyne City to Charlevoix Trail, a non-motorized linear park which will run parallel to Boyne City Road and will connect the City of Boyne City with the Little Traverse Wheelway. The Boyne City to Charlevoix Trail will be a paved 10-foot wide, approximately 14-mile long trail, mostly detached from Boyne City Road, but within the road right-of-way. 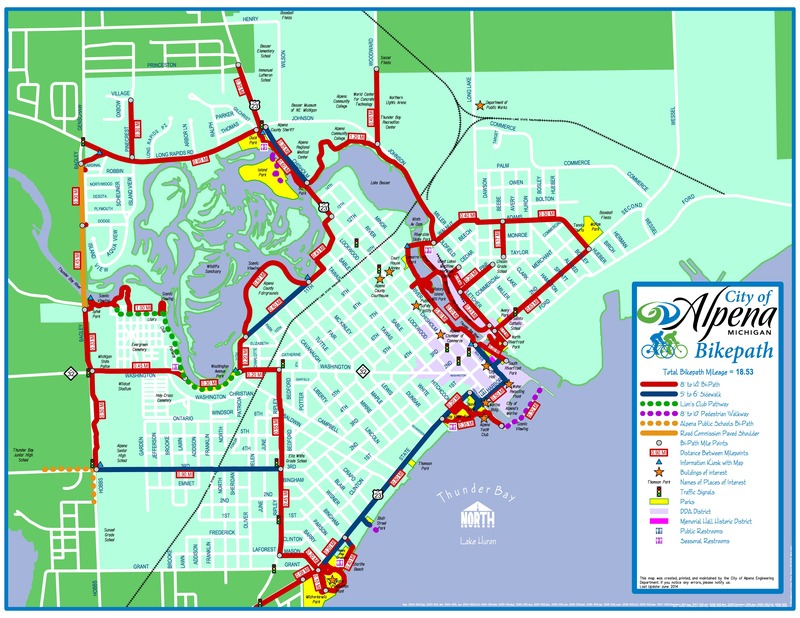 The trail will be constructed in five phases (Map): Phase 1, a 10-foot-wide paved non-motorized trail parallel to, but detached from Boyne City/Charlevoix Road, was completed in 2016. This phase begins at the Boyne City limits at W. Michigan Avenue, extends through Young State Park, and runs to the Evangeline/Bay Township line at Springwater Beach Road for a distance of 3.04 miles.